Good morning readers! Can I just say wow? 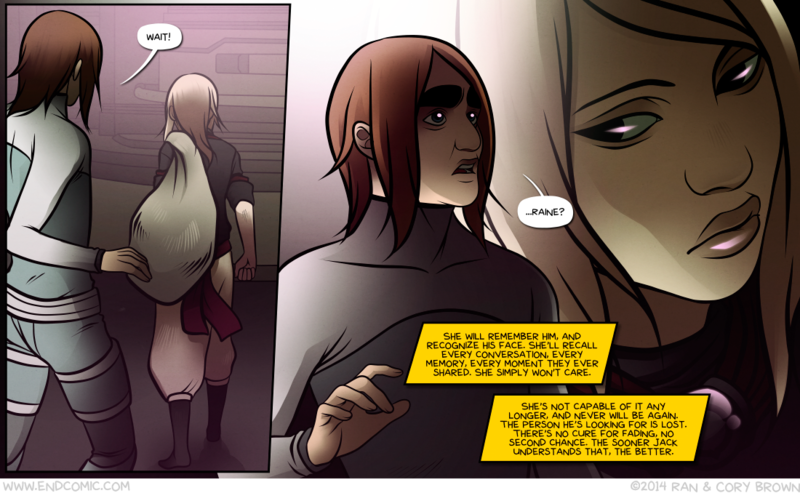 The discussion going on on Tuesday’s page is amazing. I’ve been staying out of it as much as possible to avoid spoiling anything, but it’s been so entertaining just to watch. I hope future pages inspire discussion and speculation to the same degree and look forward to reading all of your theories and debates as more is revealed. 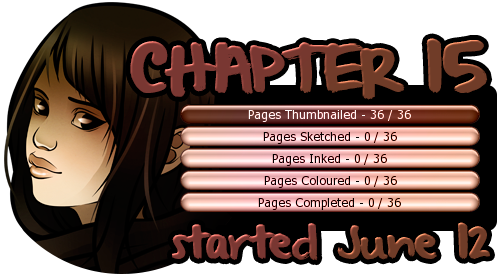 So what you’re looking at here is confirmation that chapter 14 is completely finished, uploaded and queued up, amounting to a buffer that ends on August 15th. I posted some small colour previews up for patrons from the final six pages of the chapter. You’re also looking at the new progress bar for chapter 15, which features young Noh. If you’d like to see the entire illustration I’ve made it available to donating patrons here. 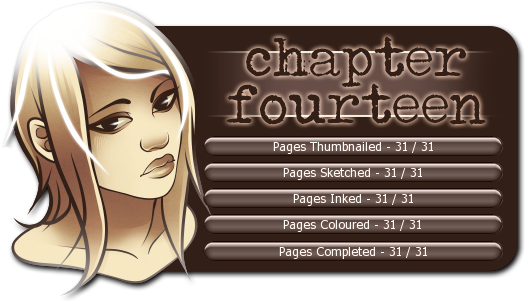 I’ve also posted the thumbnails for the entire chapter up for patrons if you’re into not-really-spoilery-spoilers (yeah, it’s the entire chapter thumbnailed, but since everyone is either stick men or look like muppets in them, I imagine it’ll be a bit difficult to tell what’s happening if you’re anyone other than Cory or myself). This is a preview of the new chapter cover for Chapter Ten! You can view it in action in the archives here, and every page in the chapter after it has been updated with the fixed versions I did for the book. They are also larger (1100px wide versus it’s previous size at 900px) and match the size of the newer pages, and are way more vibrant because I made an embarrassing discovery–I somehow exported that entire chapter on the wrong colour profile for the website, so everything was sort of foggy and grey looking, haha. And, as promised, you can download this cover (minus the logo) as a wallpaper by following the instructions here. 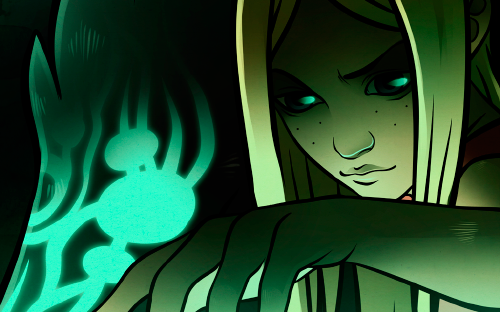 I’ll be releasing the wallpaper for Chapter 9 as well as the redone pages next Friday. Anyhow, have a lovely father’s day and we’ll see you all Tuesday!